Valley Christian High School is fully accredited through the Montana Office of Public Instruction (OPI). All requirements for graduation are met. Valley Christian School is fully accredited by the Association of Christian Schools International (ACSI), and AdvancED. 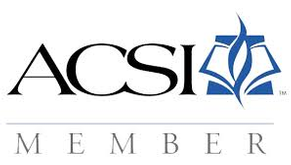 Accreditation from ACSI and AdvancEd ensure that our school constantly improves and moves forward. Students will be provided with a strong Biblical foundation and an academic base upon which to build a future. Mission Statement: Valley Christian School exists to partner with Christian families who desire educational excellence taught through a Biblical worldview so their children will be prepared for a lifetime of authentic faithfulness to Jesus Christ.